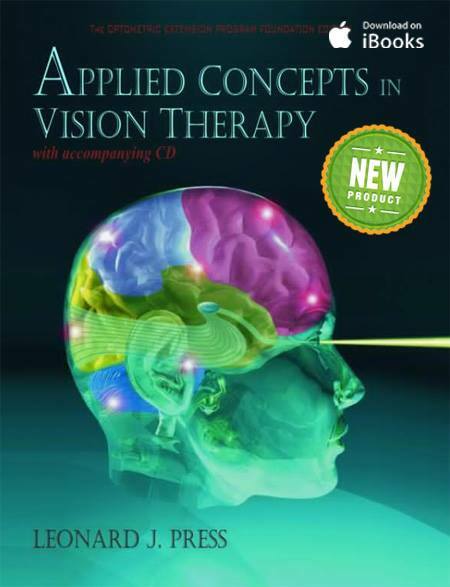 As you might have noticed lately, I’ve been studying and sharing many interesting passages from the book ‘Applied Concepts in Vision Therapy’ by Leonard Press. It’s pretty darn awesome but it took me a long time before I was able to start reading it. I ordered the physical copy from OEPF years ago and only recently found a way to turn a book into an audio file: I scanned the book, had a program run text recognition on the images and then turned the text into an audio file. This cumbersome process allowed me to start reading the information I sorely needed. That is the paradox of binocular vision impairment affecting reading ability: you need to read to figure out what you can do to improve your reading but you can’t do the reading without hurting yourself in the first place. Experiencing this predicament I’ve been urging the Optometric Extension Program for some time to release an e-version of this book. And it finally happened! I don’t know if my queries had anything to do with it but I’m glad it’s out there. My remaining point of critique is that it’s only available for iProducts (Apple). Android devices are much more accessible in terms of pricing and I have learned how to use its reading aloud accessibility features which are also embedded into the Google Books app. Hopefully they can release it in the Google Books store as well. That way it will be available on both major platforms. Judging from Mr Press’ comment the book might get there at some point in the future. A manual already available on Google Books is ‘Vision Rehabilitation: Multidisciplinary Care of the Patient Following Brain Injury‘ edited by Penelope S. Suter. PS: Sadly I wasn’t sponsored to write this post so no conflicts of interest here. Thanks for your continued advocacy and enthusiasm Michael. I’m the publisher of the iBook version of Dr. Press’s “Applied Concepts in Vision Therapy.” Your comments regarding platforms other than Apple are well taken. 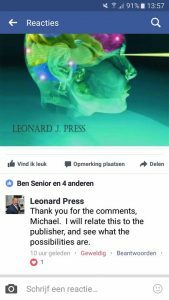 Ridgevue Publishing (ridgevue.com) has produced over 12 titles thus far, with five more in various stages of preparation. Our primary target audience is optometry students and optometrists. The second consideration is added value. Most ebooks, including those I buy and read on my Kindle, are what I call “dumb pdfs.” They offer no enhanced features beyond the print version. With Apple’s iBooks I can incorporate video, glossary terms, links to external sites, and built in study cards. When developing the iBook, the tools are intuitive, plentiful, and I can preview the end product in seconds. I’ve played with the Kindle development platform and it leaves much to be desired. I can add some of the aforementioned features, but there the end product is disappointing and I cannot preview. As a publisher, I would love to expand the market for Dr. Press’s iBook, but the other platforms do not this attractive. I welcome your future insights, whether posted here or emailed to me directly. I’m still on a learning curve and am keen to know more.